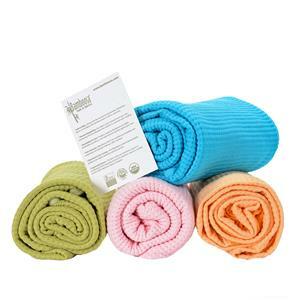 The Bamboosa for Baby Thermal Blanket will be a treasure for years to come. Swaddle your little one in the warmth and comfort of thermal regulating, organically grown, bamboo viscose and organic cotton. Lightweight, but warm, with a texture that babies love. Generously sized at 45" x 57".